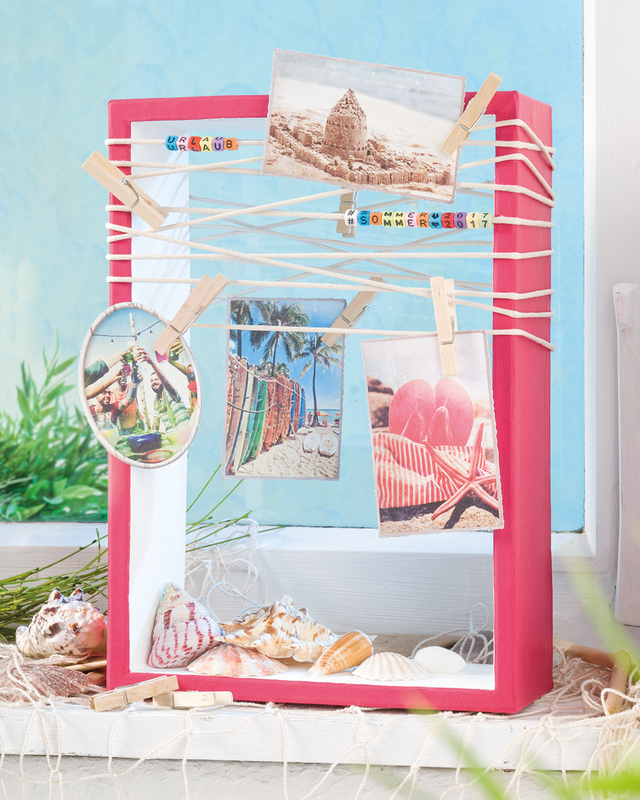 If you’re not quite ready to say goodbye to summer you could try your hand at this Memento Frame (designed by Kathleen Hauck) which is created using one of Efco’s Pappart frames. 1. 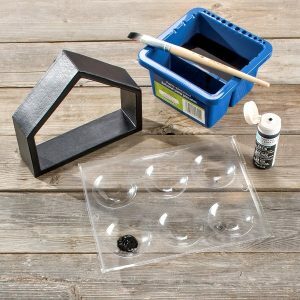 Prime the frame with white acrylic paint and leave to dry. Then paint everything except the inner frame with magenta. Leave to dry. 2. 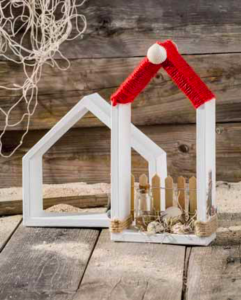 Select the letters etc from the letter and number beads you need to spell “HOLIDAY # SUMMER ♥︎ 2017”. Thread the cube beads onto the cotton cord in order and glue the beginning of the cord to the back of the frame. 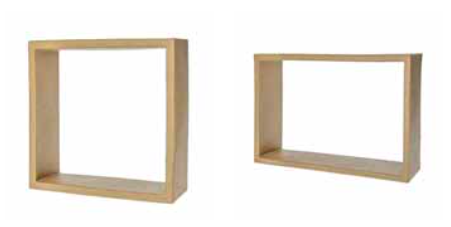 Wrap the cord around the top half of the frame making sure it’s not too loose. Position the cubes where you want. Always fix the cord on the back with a spot of glue to keep the tension and hold the cord in position, preventing it from getting damaged later. Tip: Instead of “HOLIDAY # SUMMER ♥︎ 2017” you could also add the holiday destination e.g. “HAMBURG”. In addition, this framework allows for the possibility of recording various events e.g. 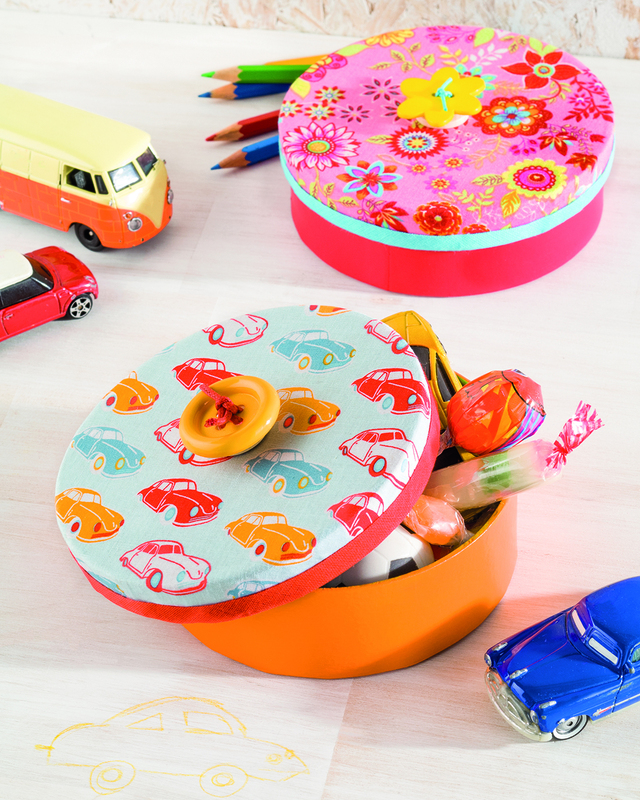 a wedding anniversary, a special birthday, the last family celebration or birth – there’s no limit to the imagination. 3. 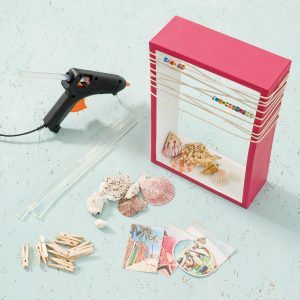 Stick some shells to the bottom of the frame. Then use wooden pegs to attach holiday photos or postcards to the cotton cords. You can see a variety of Pappart Frames in the new Autumn/Winter 2017 Trends Catalogue. 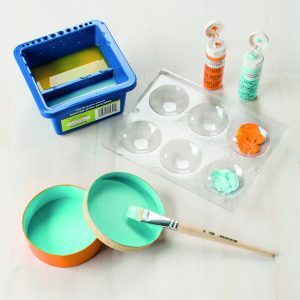 They can be decorated using acrylic paints and a host of other craft materials and be used as unique picture frames or ornaments for memorabilia. 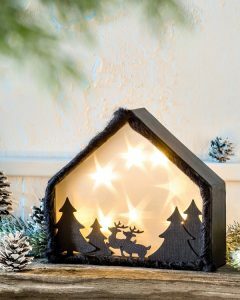 Here’s a simple but very effective festive project inspired by ancient Chinese shadow box art and the art of German paper cutting. Paint the house frame with black acrylic and leave to dry. Place the house frame on the Starshine foil and trace the outline with a pencil. Cut the shape out using the scalpel, ruler and cutting mat. Use double-sided tape on the front edge of the house frame to stick the Starshine foil in position. 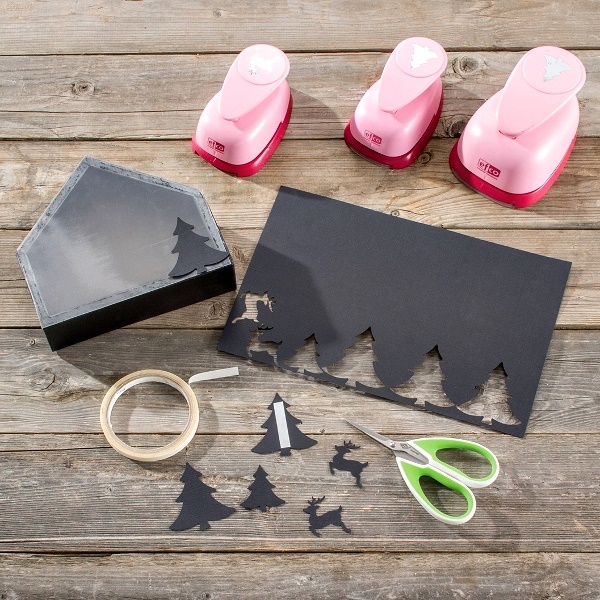 Punch different sized fir trees and reindeer from the sheet of black card. 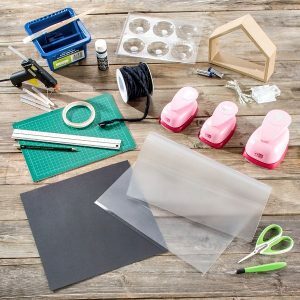 Stick these to the Starshine foil with more double-sided tape. 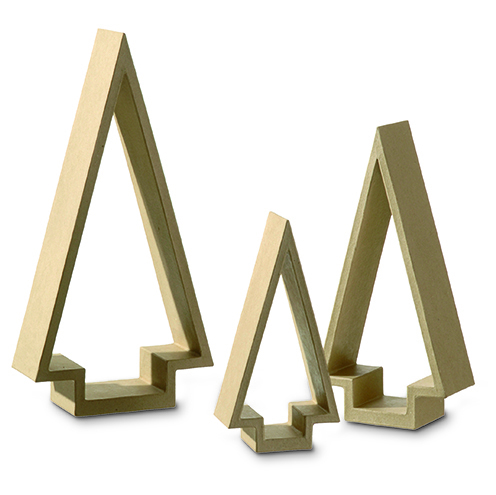 Trim any parts of the shapes that protrude beyond the edge of the house frame. 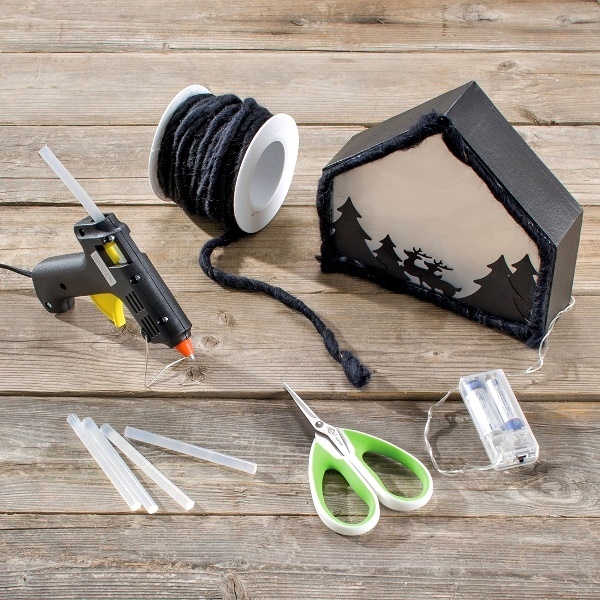 Glue the string of lights to the back of the frame using the hot glue gun. Glue the wool cord around the front edge with the hot glue gun to conceal the double-sided tape which may show through the Starshine foil. To view the range of new Pappart frames please see the new Autumn/Winter 2017 Trends Catalogue and for Efco’s entire Pappart range go to their Pappart and Wood Catalogue. 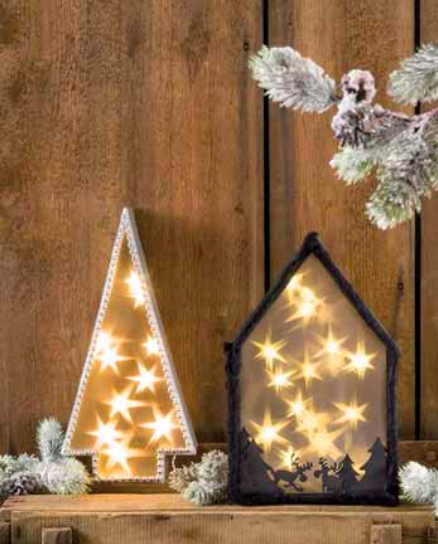 Starshine foil may also be found in the current Trends Catalogue on Page N.56. 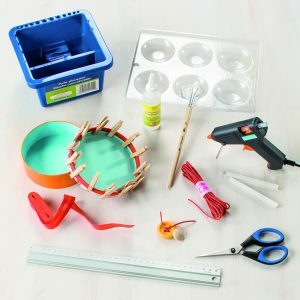 Additional: Template, Pencil, Needles, Sewing Machine, Sewing Thread, Baking Paper, Iron, Sewing Needles. 1. Transfer the half heart (template) to the Oaki Doki fabric without a seam allowance. A left and a right half are required for each of the two fabrics. 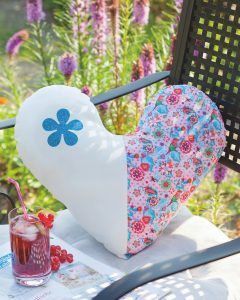 Take one plain and one patterned half heart and place them together with the right sides facing inwards. 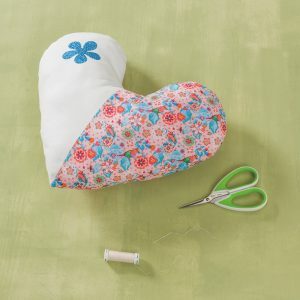 Sew the two halves of the heart together down the middle. Repeat for the other two halves. 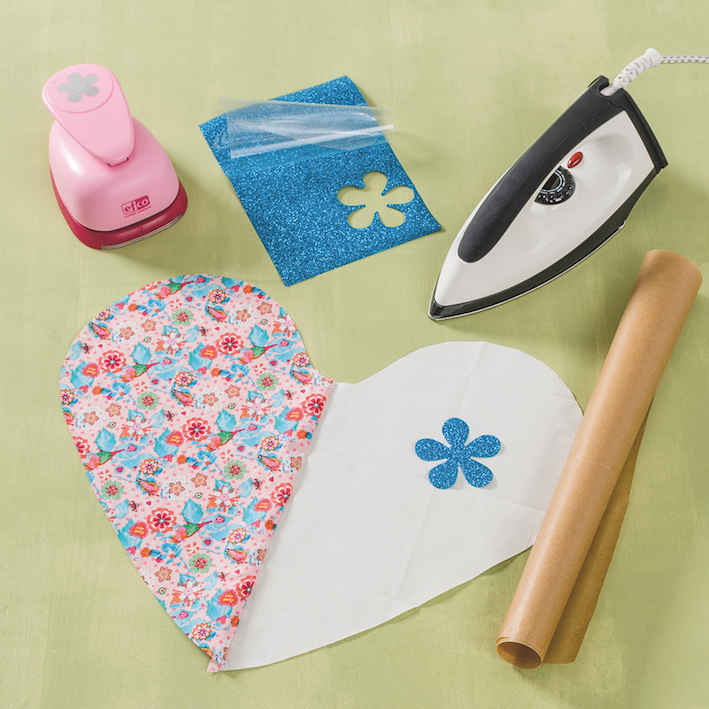 Tip: Lay the two fabrics on top of each other and place the paper half heart before cutting. 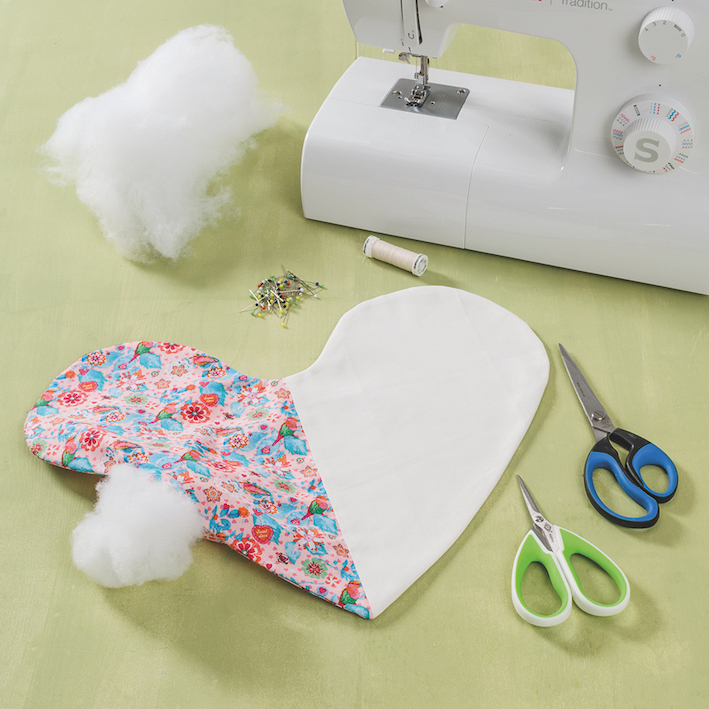 Fix the paper half heart to the fabric with pins. When the fabric is cut two identical heart halves (one left and one right) are automatically created. (3) Place the hearts right sides together and secure them with pins. Then sew them together leaving a turning opening. Trim the seams as much as possible especially at the curves. 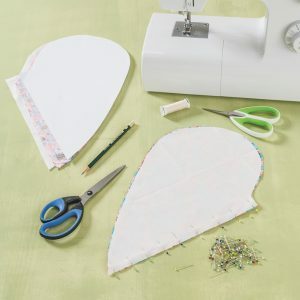 Cut the seam at the heart tip. Turn the fabric through the opening and fill well with the wool filling. 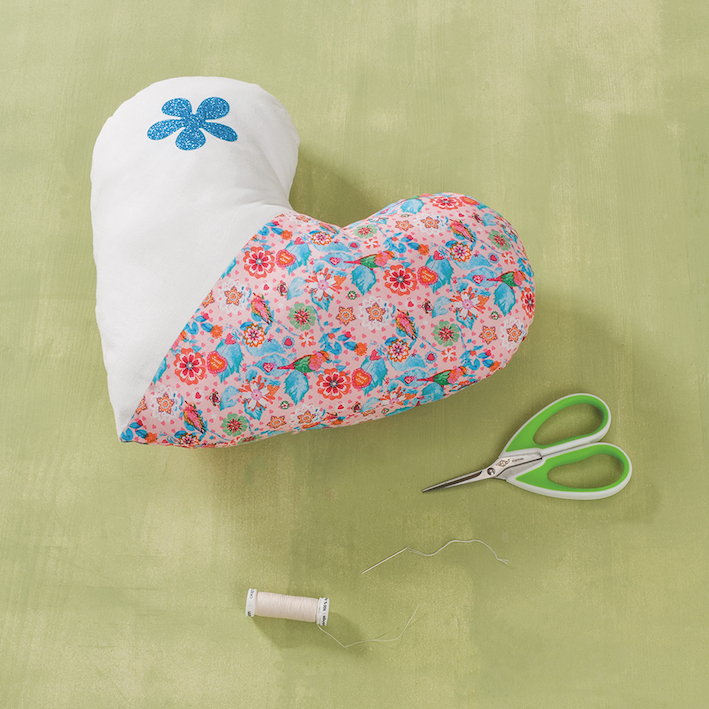 (4) Sew the opening together by hand with a concealed mattress stitch. You can download the template from Efco’s German Website. Check out the Textiles Catalogue for the range of Oaki Doaki fabrics and Hot Fix Transfer Sheets. 1. Cut a 3.2 m piece of Alcantara cord. 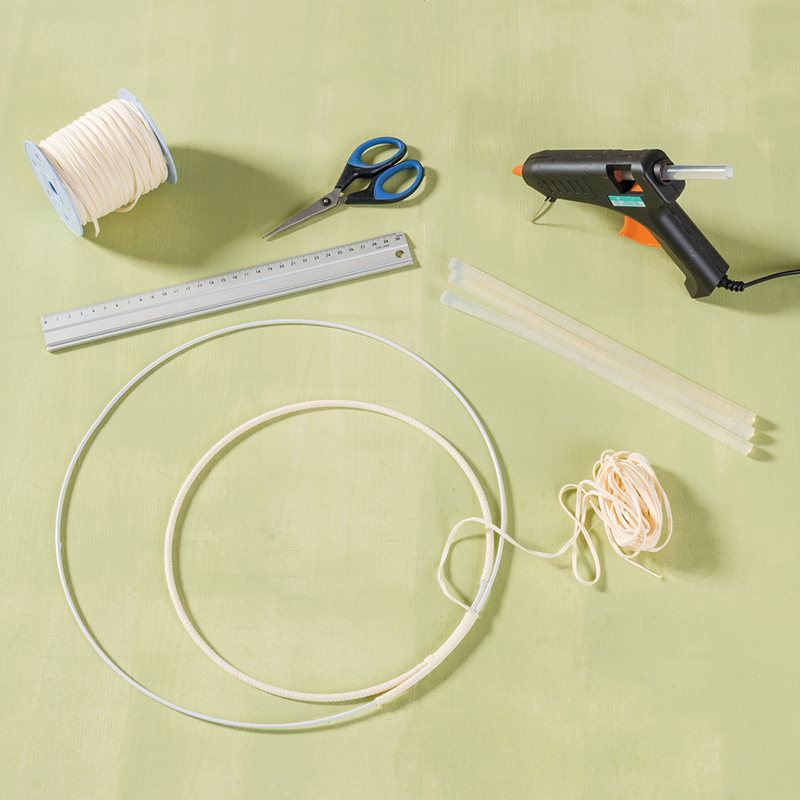 Glue one end to the small wire ring with the hot glue gun. Wrap it around the ring until there is about 7-8 cm of the ring left visible. 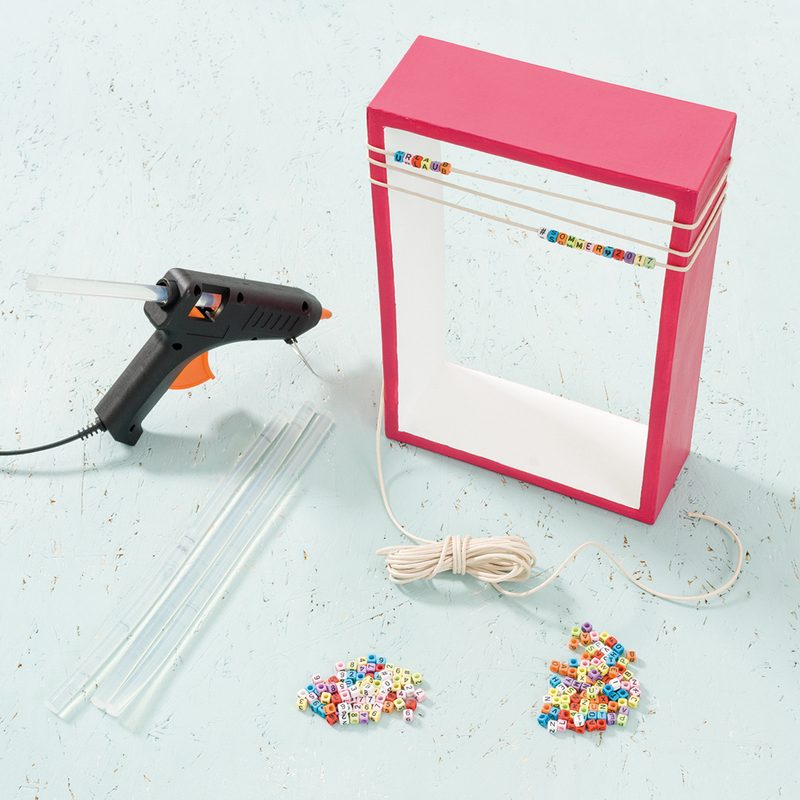 Glue the end to the ring with the hot glue gun. Cut approx. 5.4 m of Alcantara cord for the large ring. Glue one end to the large ring. Wrap the ring approx. 15-20 times. Then position the bare section of the small ring against the large ring and continue wrapping both rings, binding them together. When the bare section is covered return to wrapping just the large ring. Fix the end of the cord with more glue. 2. 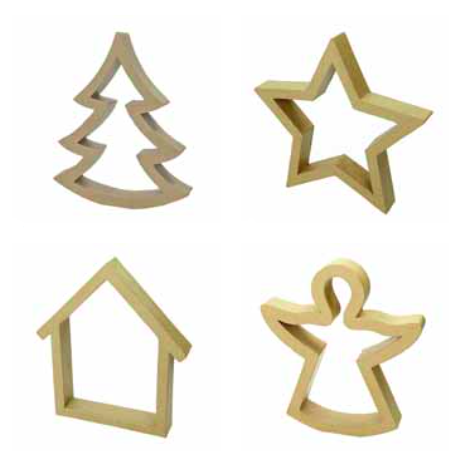 Cut pieces of the various ribbons. Wrap them around the rings, sticking them to the back. Remove any excess ribbon. 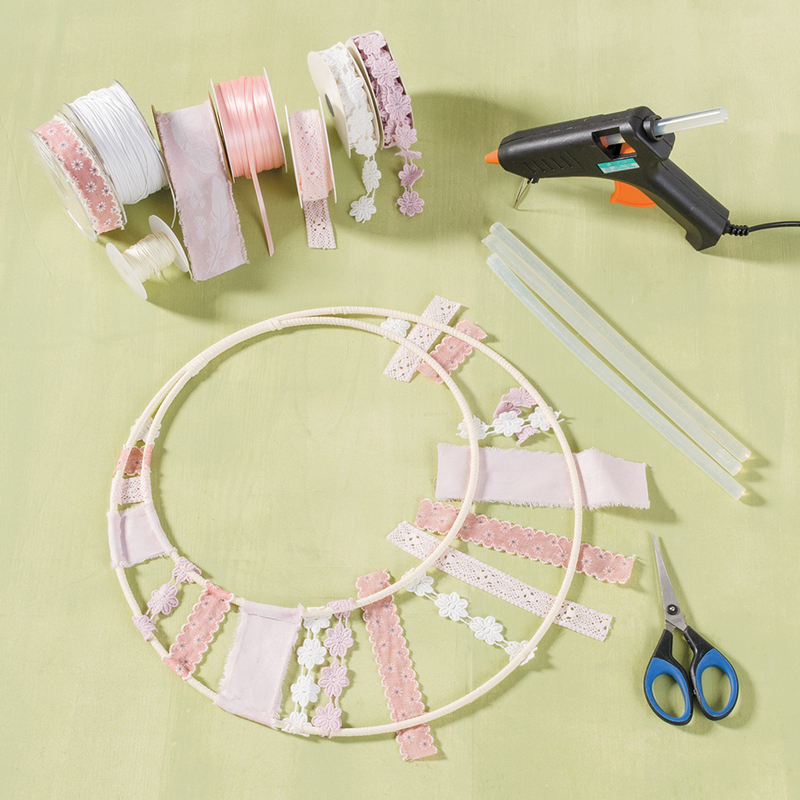 Fill the gaps with satin ribbon or cotton cords, fixing them in position with glue. 3. Cut 4 40 cm pieces of white cotton cord. 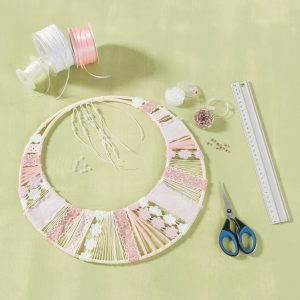 Tie each strand in the middle of the two ring bound section. Thread the cords with matt Indian beads. Tie knots in the thread to create irregular intervals between the beads. Cut 3 40 cm of cream cotton cord. Tie these to the two rings in between the white cotton cords. 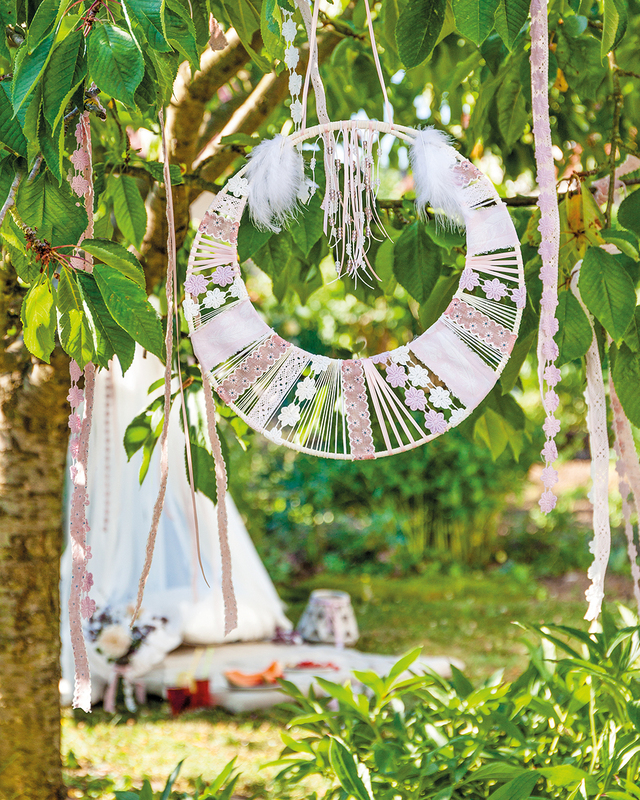 Thread the silver lined pink Indian beads onto the cords. Tie knots to create irregular intervals between the beads. Cut 4 40 cm pieces of double satin ribbons. Use a touch of hot glue to stick the middle of the ribbons to the rings in between the cords. Pull the ribbons straight and use scissors to cut the ribbons to make the ones at the sides shorter than those in the middle. 4. Cut a 1.2 m piece of double satin ribbon and fold it in half. 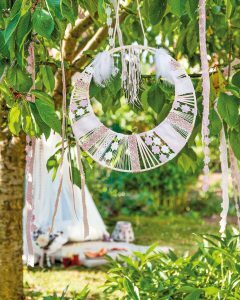 Attach the ribbon either side of the two ring bound section to create the hanging strap. 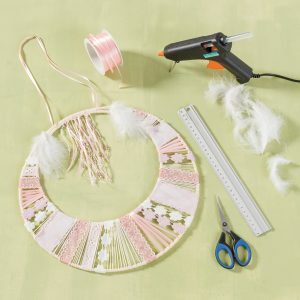 Use the hot glue gun to attach three feathers to the rings either side of the strap. Check out the Ribbons/Napkins and Autumn/Winter 2017 Catalogues to view Efco’s range of ribbons. 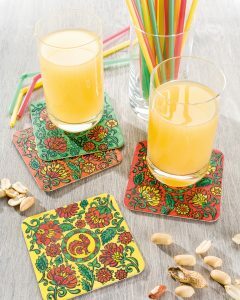 1607602 Square Beer Mat, 9.3 x 9.3 cm x 1.5 mm, 100 Stk. 1988506 Pigment Liners, Black, 0.05/0.1/0.2/0.3/0.5/0.8 mm, 6 Stk. 1990312 Textile Marker, Fine Point, 1-2 mm, 12 Stk. 1. First place the texture mat on the stamp block with the double-sided adhesive film. 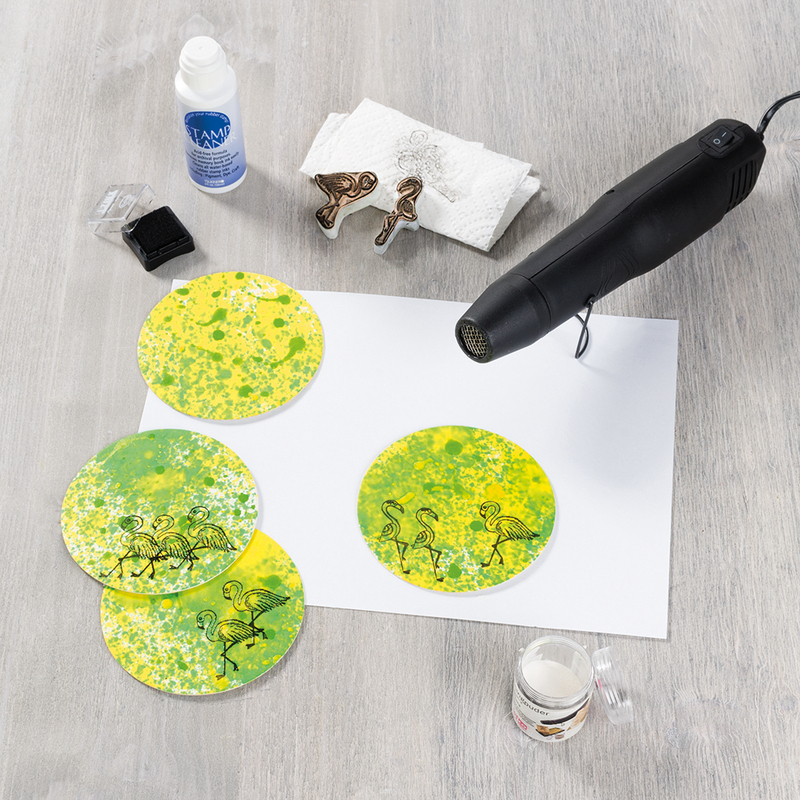 Ink up the texture mat and stamp it on the beer mat. Leave to dry for a minute. Use the pigment liners to continue the design to the edge of the coaster and, if necessary, fill in any parts of the image not printed properly. 2. 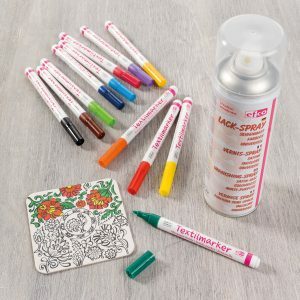 Colour the design with the textile markers. Leave to dry. Spray the beet mats with clear matt varnish and leave to dry. Spray the back of the mats with clear varnish for protection and leave to dry. Check out the Autumn/Winter Trends Catalogue for the Texture Mats and Textile Markers. 1. 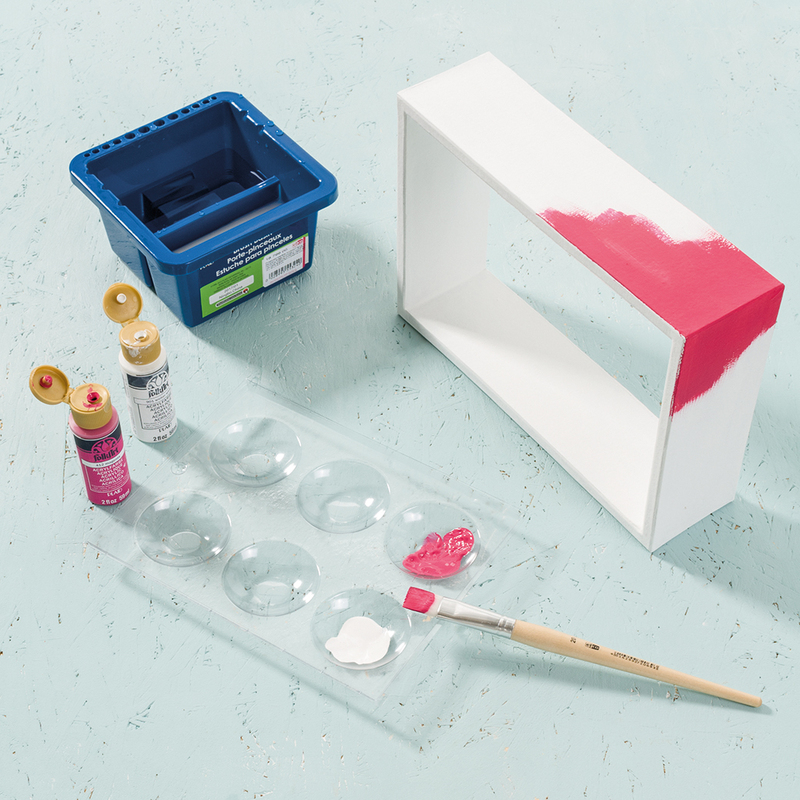 Paint the inside of the box and lid light blue using the wide brush. Leave to dry. Paint the outside of the base orange and leave to dry. 2. Cut a piece of Oaki Doki fabric approximately 23 x 23 cm. 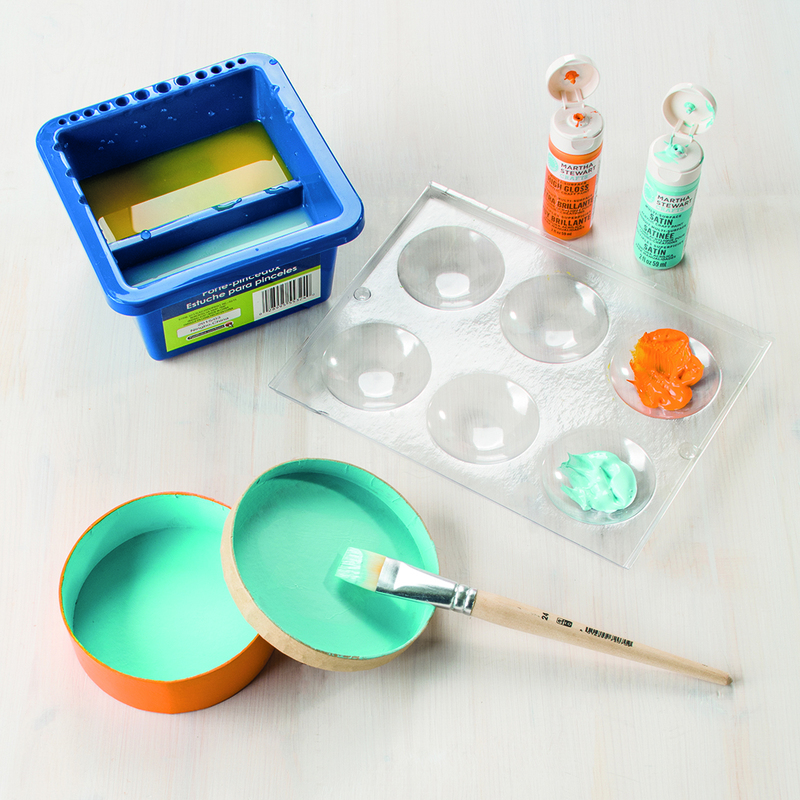 Use the thin brush to cover the outside of the lid with transparent glue. Position the lid in the centre of the fabric. Stick the fabric to the lid, smoothing it out to the edges. 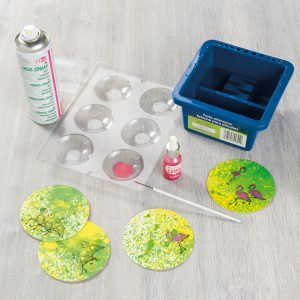 Apply more transparent glue to the edge of the lid. Pull the fabric down over the edge of the lid. The tighter the fabric is, the less folds will appear around the rim. 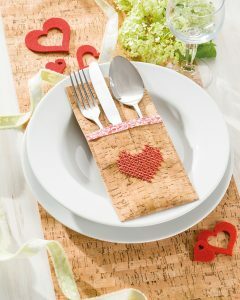 Fix the fabric with wooden pegs and leave to dry. Use scissors to cut the excess fabric. 3. Cut a 42 cm strip of bias binding. 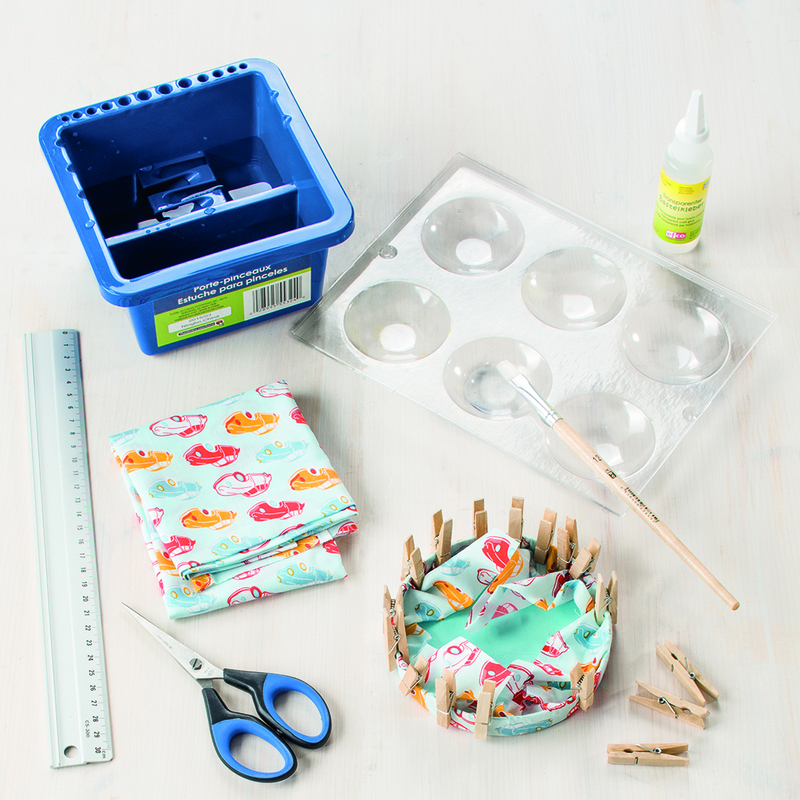 The bias binding is folded in the middle making it easier to fold it over the edge of the lid. Wrap it around the bottom edge of the lid (half on the outside, half on the inside) and stick it in position with transparent glue. Hold it in position with wooden pegs whilst it dries. Thread a piece of waxed cotton cord through the button and knot it. 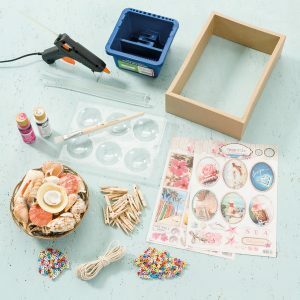 Glue the button to the centre of the box lid using the hot glue gun. Check out the Catalogue page for the products needed to complete this project. 1. Cut a 45 x 10 cm piece of cork leather. 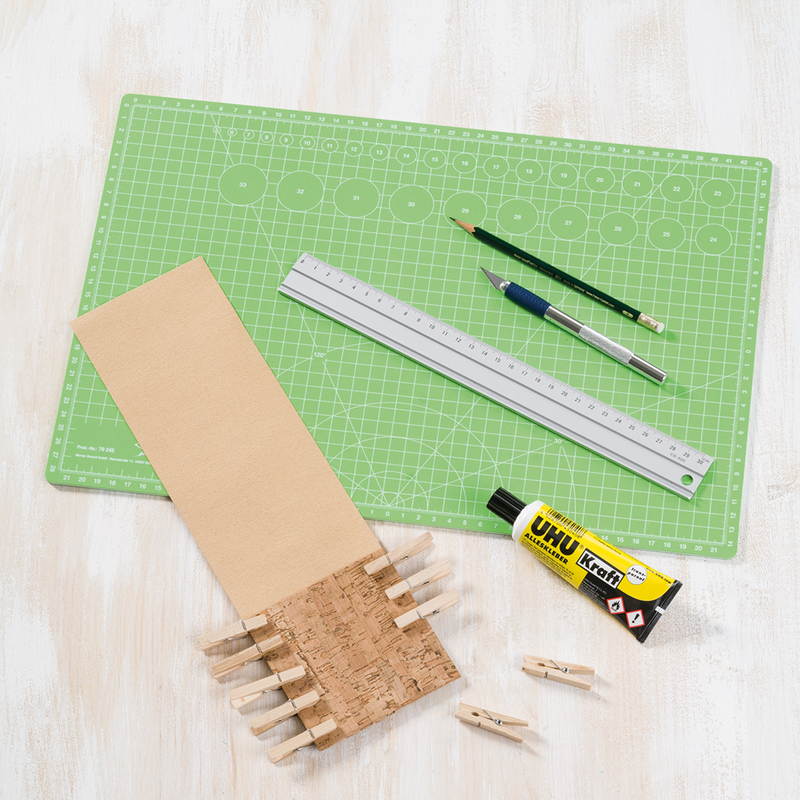 Fold over 10 cm at one end and stick it with UHU Kraft glue. 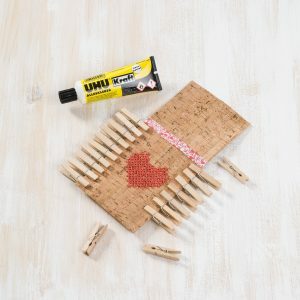 Use wooden pegs to hold it together whilst it dries. 2. Fold a piece of Oaki Doki bias binding tape over the opposite end. Apply a thin layer of transparent glue to the cork leather to stick the tape in position. Hold it there whilst it dries with wooden pegs. The Oaki Doki binding should be flush with the cork. 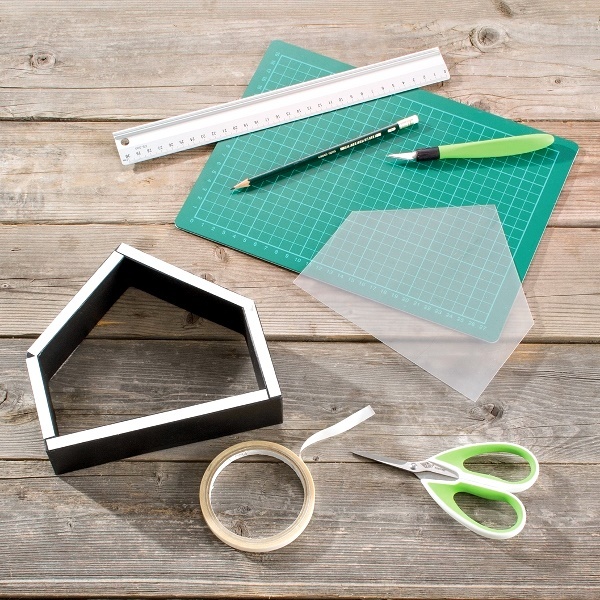 Tip: To ensure that the tape doesn’t fray over time make sure that the edges are firmly stuck. 3. 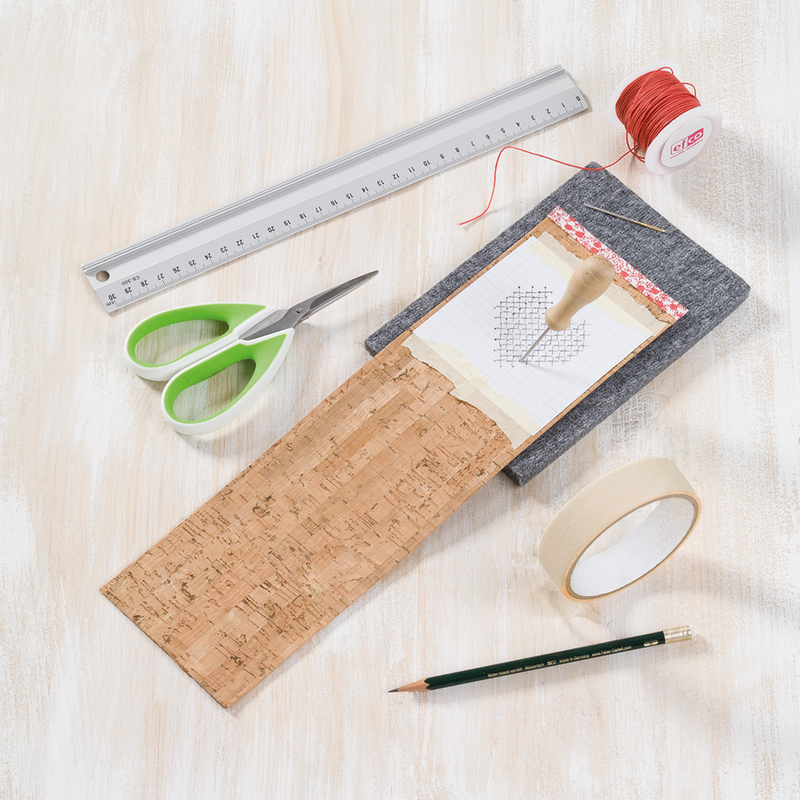 Draw a heart on grid paper using crosses as a template for the cross stitch decoration. Place the pouch on the felt pad. Use masking tape to fix the template on top of the cork beneath the binding. Use the awl to pierce the corners of all the crosses. 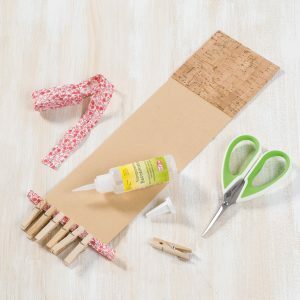 Remove the paper template and, if necessary, re-pierce the holes in the cork. Cut a 240 cm piece of waxed cotton cord and tie a knot in one end. Thread the smallest Smyrna needle with the cotton and pass the needle up from the back through the bottom left hole. Create little cross stitches until the heart is created. Tie the cord off at the back with another knot and trim the excess cord. 4. Apply a line of UHU glue down either side on the back of the cork leather (approx. 26cm long). Fold the leather in two, pressing the edges together. 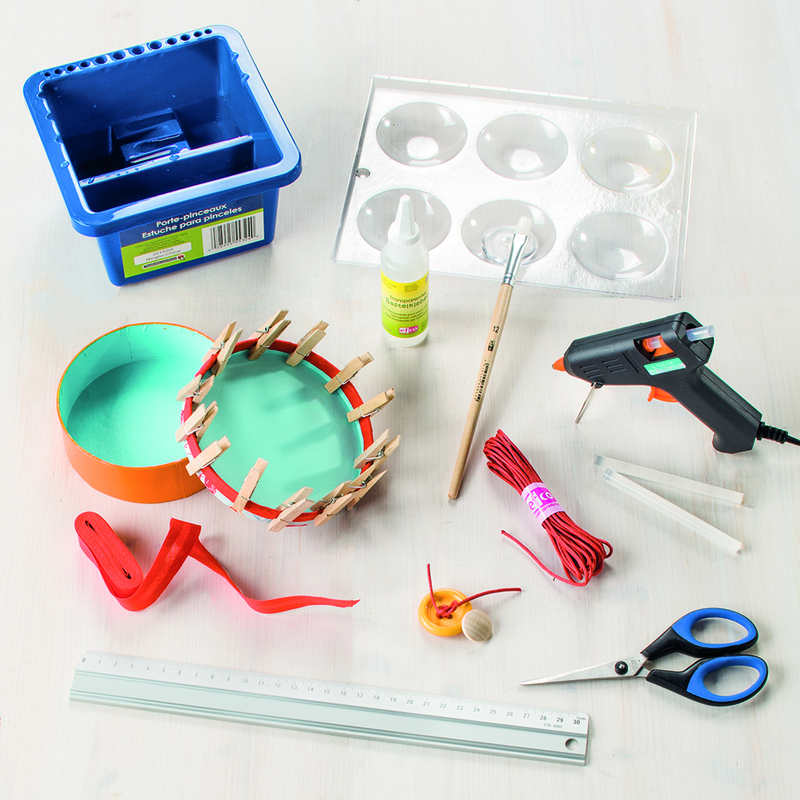 Hold it in place with clips until the glue has dried. 1. 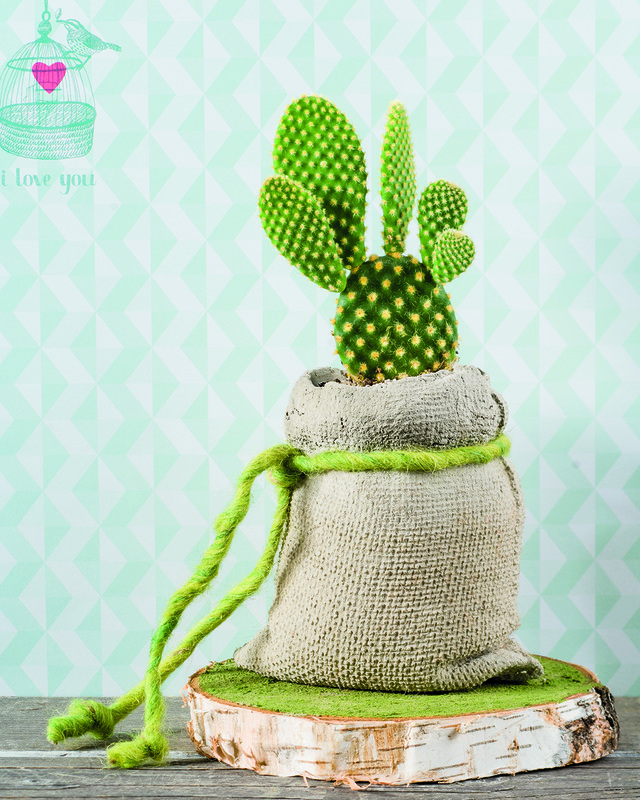 Remove the cord from the jute bag and turn it inside out. Wrap the beaker in clingfilm. 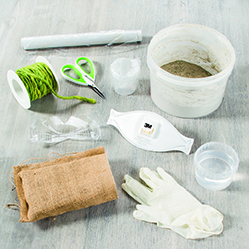 Weigh out 1 kg of modelling Beton and mix it thoroughly with 160 g of water until it forms a smooth concrete mass. Leave the mixture to rest for 2 minutes before using it to fill the jute bag. Make sure the bag is filled completely (including the corners) and that there are no air pockets. 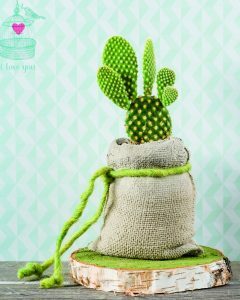 Push the wrapped beaker into the Beton and loosely tie a piece of wool cord around the sack just below the top of the Beton. Leave to dry for several hours (preferably 24 hours). 2. Discard the wool cord. 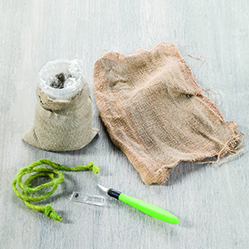 Carefully remove the jute bag by using a scalpel to cut the seam open and peeling it off the Beton. Remove the beaker and peel away the cling film. Tie a piece of wool cord around the Beton bag to finish. Check out the Spring/Summer 2017 Trends Catalogue for efco’s range of Beton products. A corker of a bag! 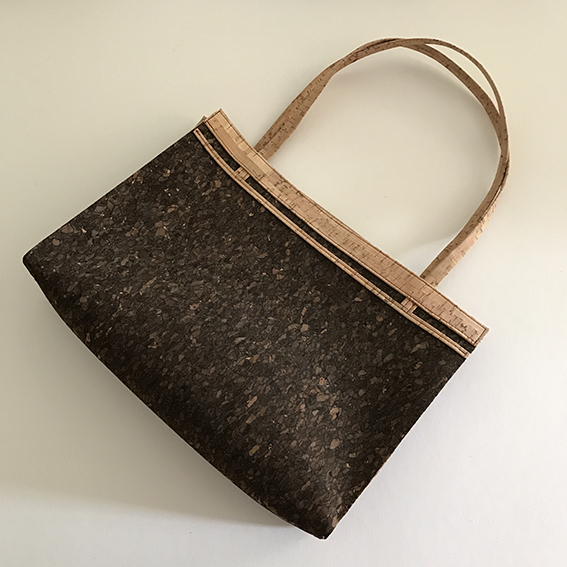 Efco’s cork leather and fabric can easily be hand or machine sewn with a standard foot. They are available in 4 different designs: 1 dark – Marron and 3 light – Granulo, Mosaic and Stripes. The leather has a faux suede effect backing and is medium weight whilst the fabric (labelled ‘Tissue’ in the catalogue) has a woven fabric backing and is the heaviest weight. 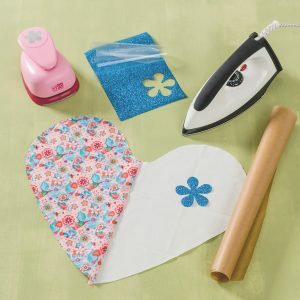 Quick and simple to create this would make an ideal workshop project for anyone running sewing classes. Instructions can be found on the Projects4Crafters.com blog page. To view the full cork range please see the Basics Catalogue. 1. 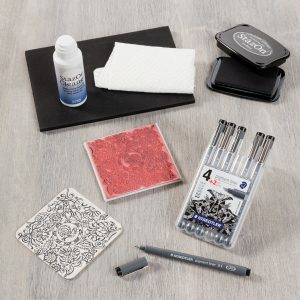 Protect your work surface with paper before you start. Place the beer mats side by side on the paper. 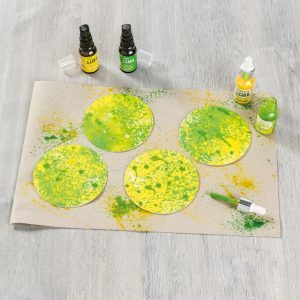 Sprinkle the beer mats with drops of yellow and green iZink dye ink. Leave to dry. 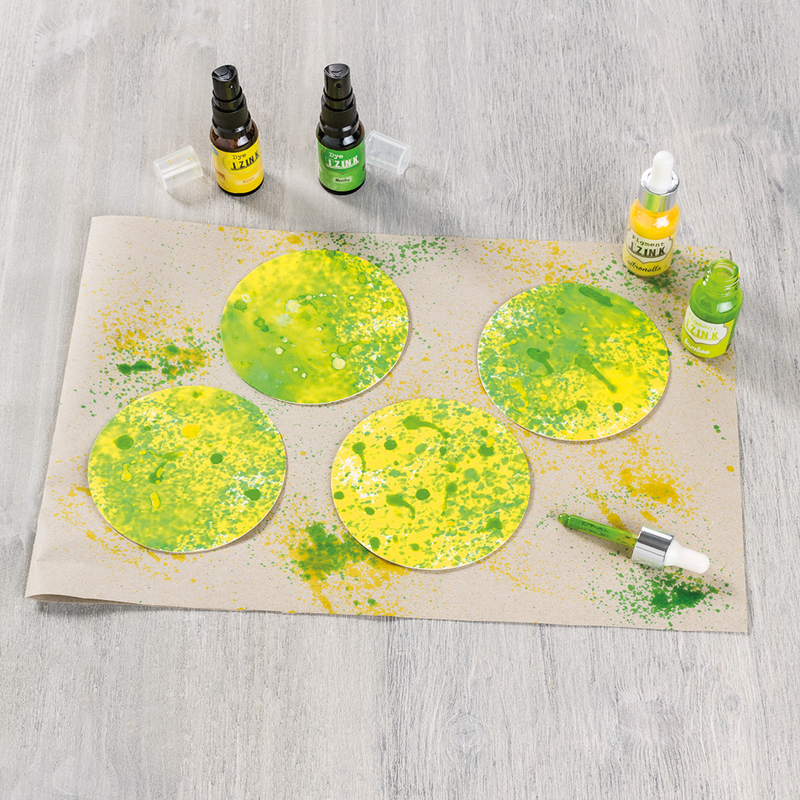 Spritz the surface of the mats with yellow and green iZink pigment ink sprays. Leave to dry. 2. 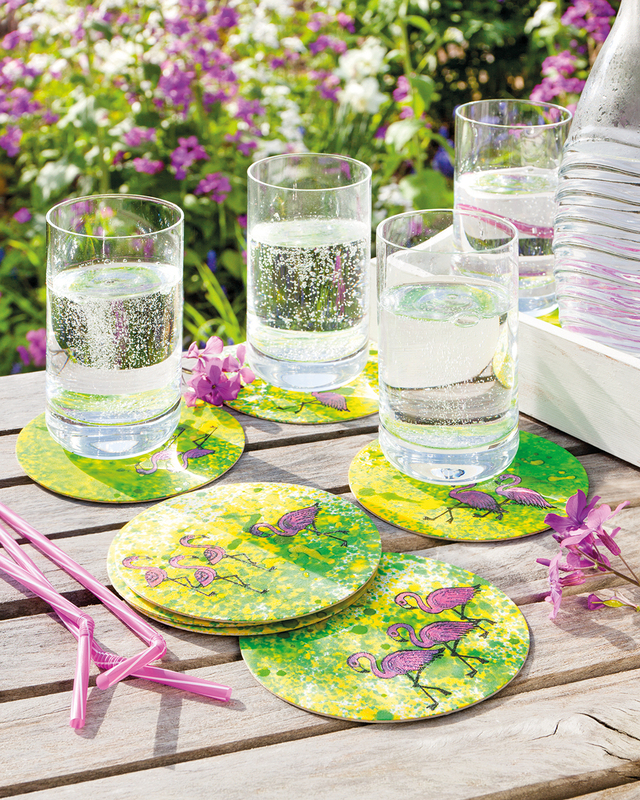 Stamp the coasters with flamingos using the Stampo black ink pad. Whilst the ink is still wet cover them with transparent embossing powder and tap off the excess. Heat with the embossing heat tool until the powder has melted. 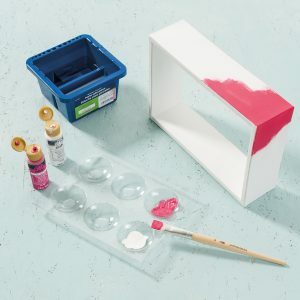 Tip: When working with embossing powder always keep a piece of paper handy to tap any excess powder onto so that it is easier to pour it back into the jar. 3. Colour the famingos pink with a brush and pink pearl effect iZink pigment ink. Leave to dry. If the green colour shows through when dry reapply the pink colour and leave to dry. 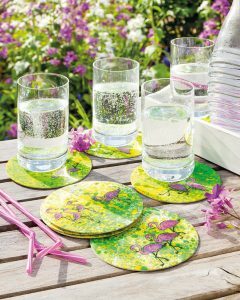 Spray the beer mats with clear matt varnish and leave to dry. Spray the backs of the beer mats with clear varnish and leave to dry.